Thanks for stopping by the La Bella Baskets: Gourmet Gift Baskets & Gifts website. This website was created to give more information about the online gift basket and flower company called La Bella Baskets. 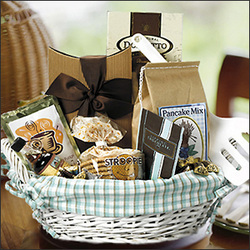 La Bella Baskets gives people a chance to own their own online gift basket business without making a large investment. The company also gives back to single mothers through their La Bella Baskets of Smiles Program. Look around the website and take the time to learn more about La Bella Baskets' products, gift consultant program, and La Bella Baskets of Smiles Program. If you have any questions, check out the contact us category.